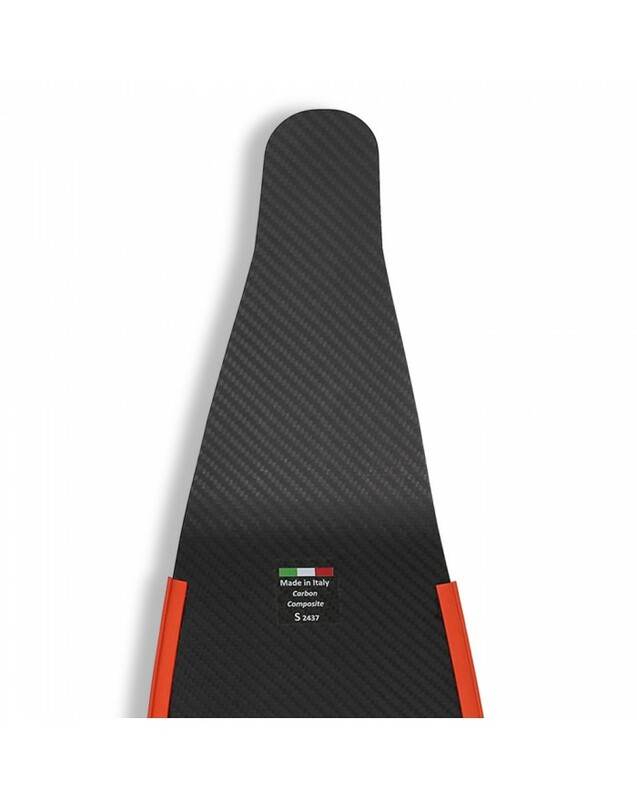 1) Blades 75% carbon fibre and 25 % S-glass fibre(aeronautic high resistance glass). 2) The blades are made of 100% epoxy PRE-PREG produced with hot melt system and micro-toughened tetra-functional resin. 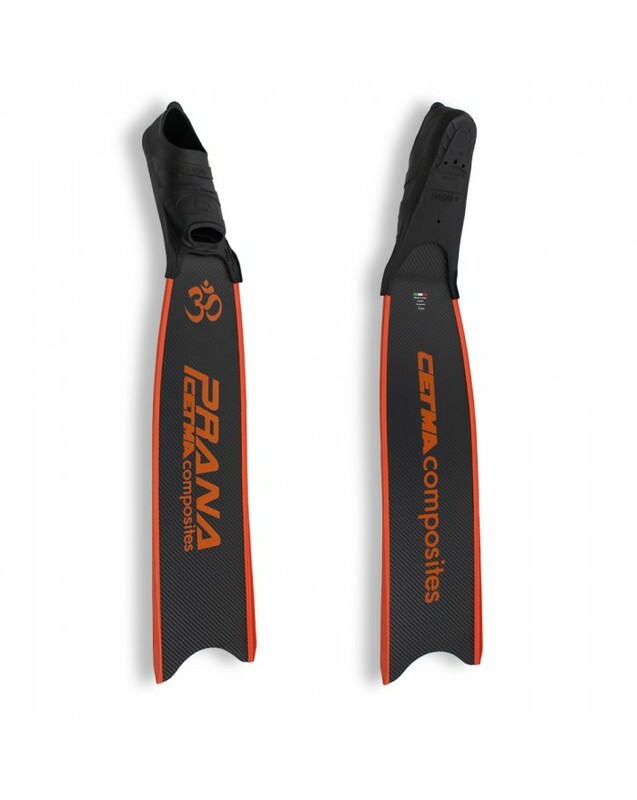 4) FEM Design: PRANA blades are optimized trough an accurate Design by means of Finite Element Softwares (FEM). 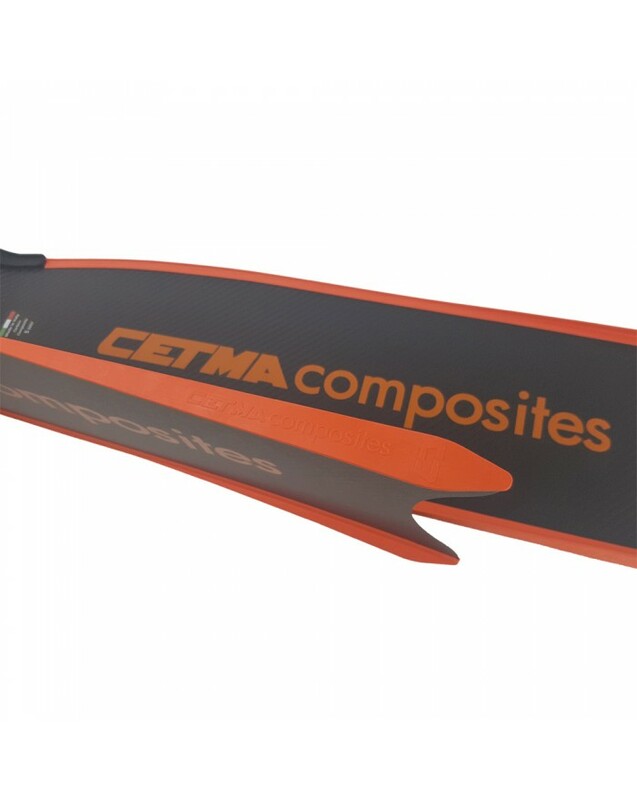 The Design trough FEM software allows an optimized distribution of the stiffness, with the aim to obtain a deformation able to ensure the maximum hydrodynamic efficiency. 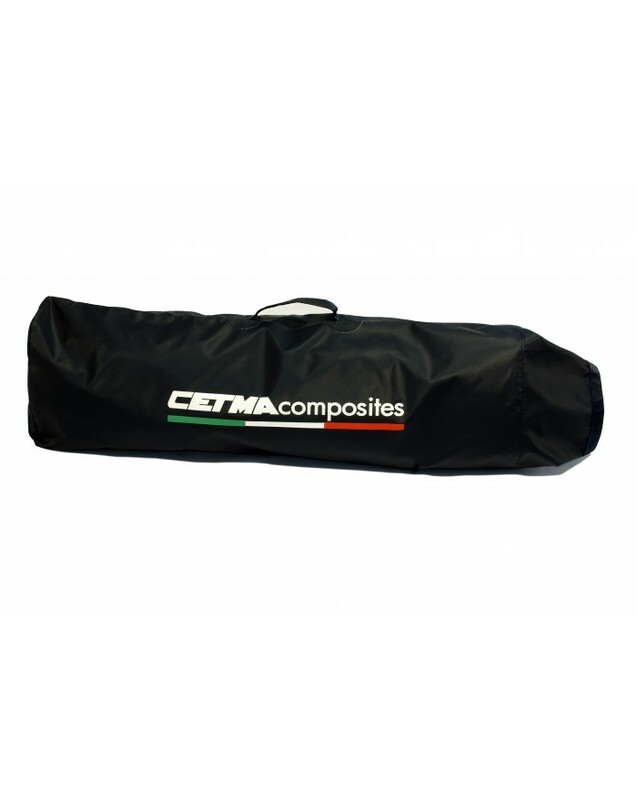 5) Dimensions: Width 185mm; Length from the bending angle 667 mm; bending angle 33 degrees. 6) Available stiffness: soft (S), medium (M). 7) Colour choice: Yellow, Orange, Red. 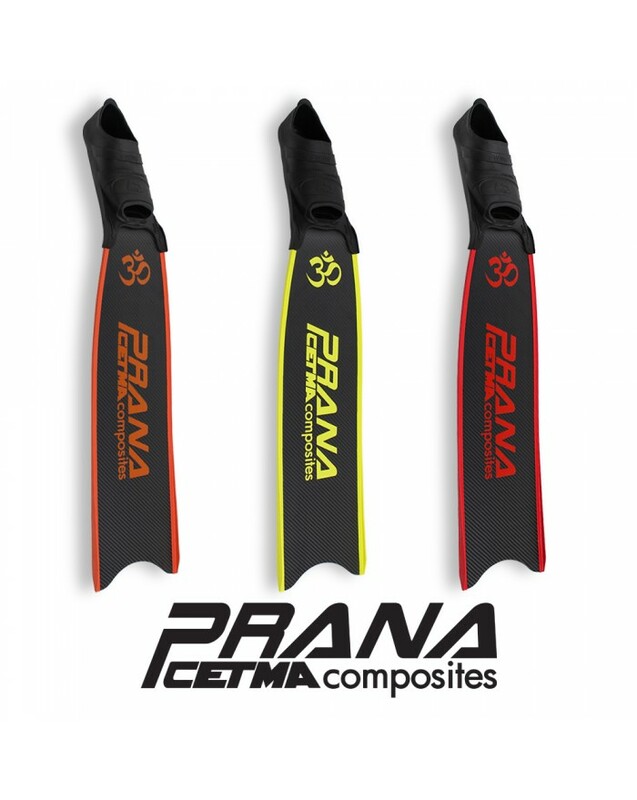 Hi, Prana blades are available in orange, red and Yellow colors. Custom colors nad words can be ordered for a minimu order quantity of 10 couples. Depending on changes requested an additional fee can be applied. Regards. Hello, when you provide your address during the order expedition costs are automatically updated. Depending on what you order, expedition cost in Miyako can range between 40 and 50 euro. Please consider that our expedition are tracked and ensured. Best regards. Hi, the length is calculated at the longest part. Regarding stiffness, it is hard to compare with Mantra, since the working principle of the blade is different. We can say that the feeling with Prana is of a reactive blade, also for soft stiffness. Salve, per le sue esigenze suggerirei delle prana rigidezza Soft. Qualora invece desiderasse una pala lunga, potrebbe optare sulla mantra medium. Salve, più semplicemente dopo l'acquisto può inviarci un messaggio indicandoci che preferisce avere il collegamento con viti. Provvederemo noi a fare tutto. Salve, le consiglio di acquistare una Prana Soft. Salve, il prezzo è da intendersi per coppia. Salve, crediamo che le pale prana soft siano sicuramente adatte al suo utilizzo. Il costo può vederlo sul sito, procedendo con l'acquisto. Chiaramente dipende dalla selezione della scarpetta. Salve, nel suo caso la durezza soft dovrebbe andare bene. Naturalmente se preferisce una pala rigida, con la sua corporatura può selezionare anche la durezza m. Come numero di scarpetta dovrebbe andare bene la 43-44 swing. 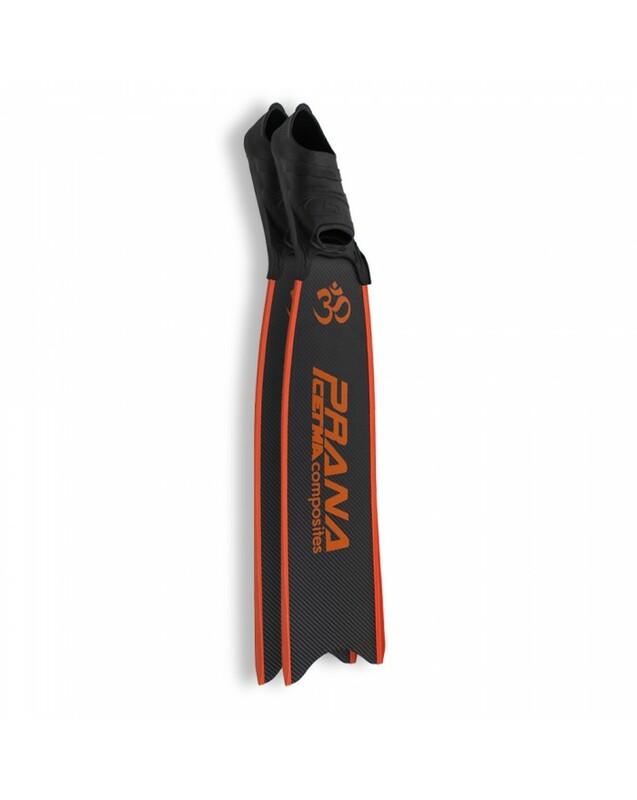 Hi, we recommend Prana medium. 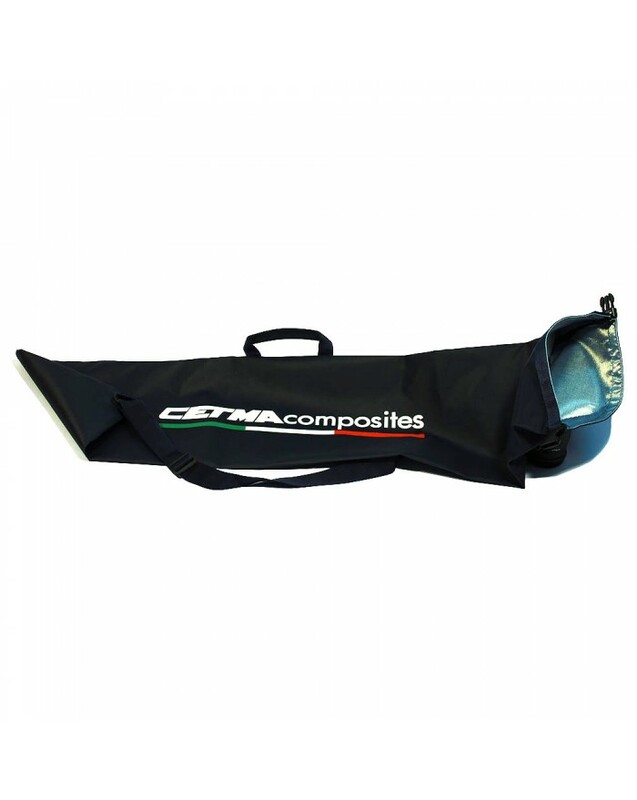 The fins are sent with glued footpockets, but if you want we can send screwed.